Okay, I knew that I could expect everything from Mr. Joel Zimmerman but, I was ready for any kind of troll and he managed once more to do the unthinkable, leaving me speachless in front of his genius. For this new chapter of the ‘Deadmau5 Trolling the World’ series he chose the prestigious stage of the Glastonbury Festival, making it his personal playground. 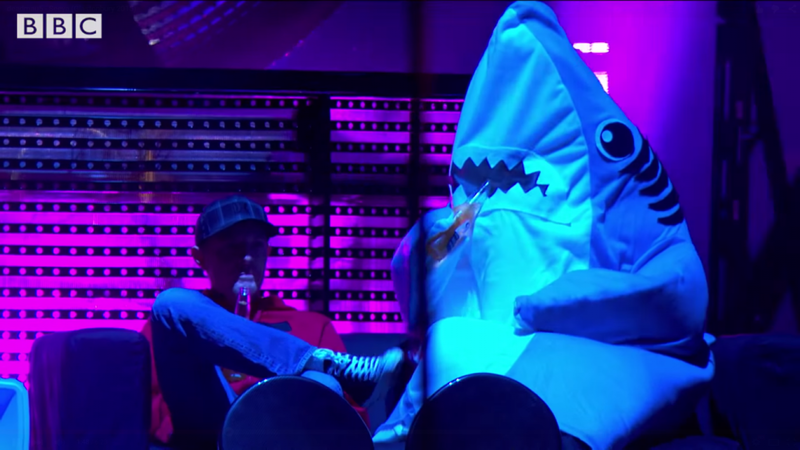 Apparently that immense space seemed too empty and lonely for the Canadian artist who thought to fill it with a sofa, a palm tree, some beers, and his very close friend Left Shark and Mr. Hot Dog. The minutes that follow are pure Mau5 madness where you can see Joel chilling on the sofa, smoking cigarettes and drinking beer, dancing (and you know how he dances) with his two friends, and offering beer to Glastonbury’s staff . Since I’m speechless in front of this artwork, I find that this comment posted by ‘The Awesome Stache’ on Youtube is the perfect way to sum up our thoughts about the whole the episode. Yes, that’s exactly why we love him.